Often the pentominoes are sold in the shape of an 8×8 square. The pentominoes together consist of 60 single cubes, the 13th piece is a 2×2 piece to reach the required 64 cubes. 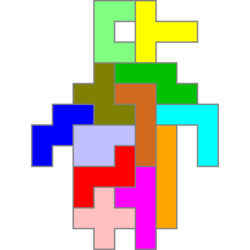 A cube with an edge length of 4 also consists of 64 unit cubes, but cannot be assembled with the 13 pieces, because the I-Pentomino does not fit into such a cube. 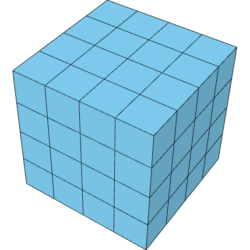 Nevertheless a 4x4x4 cube can be built with the extended set. The trick: you leave out the I-piece and build the cube hollow.